Written by the world's leading crystal expert, Judy Hall, this comprehensive guide outlines the specifics of constructing an effective grid, how to harness the power of sacred geometry, and which crystals are most effective for particular grids and purposes. 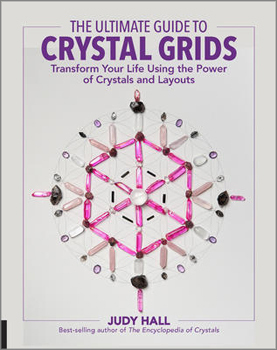 Perfect for the beginner or advanced grid practitioners, The Ultimate Guide to Crystal Grids features over 50 grids, including beginner and advanced grids based on specific geometric templates so practitioners learn the foundation of grid creation. You'll learn to use grids on specific topics and purposes, including attracting prosperity, long-distance healing, and protecting the home. Filled with hundreds of photos and illustrations, plus step-by-step shots, this truly is the ultimate guide.